The ability to pick a lock may not be an essential social engineering skill, but I would say its an advantageous one to have, oh and its fun to. Wikipedia Definintion – Lock picking is the skill of unlocking a lock by analyzing and manipulating the components of the lock device, without the original key. 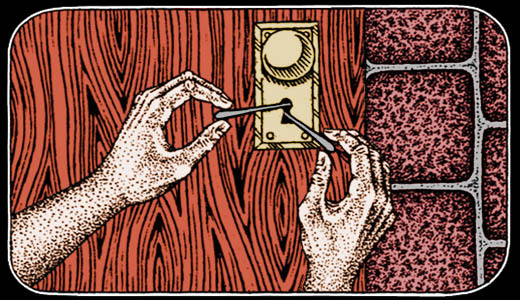 Although lock picking can be associated with criminal intent, it is an essential skill for a locksmith. Lock picking is the ideal way of opening a lock without the correct key, while not damaging the lock, allowing it to be rekeyed for later use, which is especially important with antique locks that would be impossible to replace if destructive entry methods were used. Those of you who have tried lock picking will be familiar with the buzz and satisfaction you get when you pop a lock, its something that never goes away. I will also say that its alot easier than people think, don’t get me wrong some locks are dead tough to pick, but many peoples assumption is lock picking is to hard to even attempt. 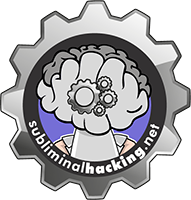 Before I go into the basics of lock picking, and some of the tools available to you, I will just mention a couple of situations where this skill might be handy as a social engineer. Usually when your on a job, you have a defined objective. Now what if your objective is to get into an office room, but its locked, or information in a filling cabinet, or a cage protected with a padlock. If you have no knowledge of lock picking its possibly game over unless you want to go to destructive methods, and normally in a corporate environment we do not, this isnt an opportunistic home burglary job. However if we have an understanding of how a lock works, and we have some tools with us, then our chances of success have increased. Obviously the amount of time available for picking, and your skill level, as well as the type of lock all play into the scenario, but you could have identified the types of locks in use on a recon, and practised with this type before attempting the job. How does a lock work, and how do we pick it? The image above shows the common pin tumbler lock that is common around the world. 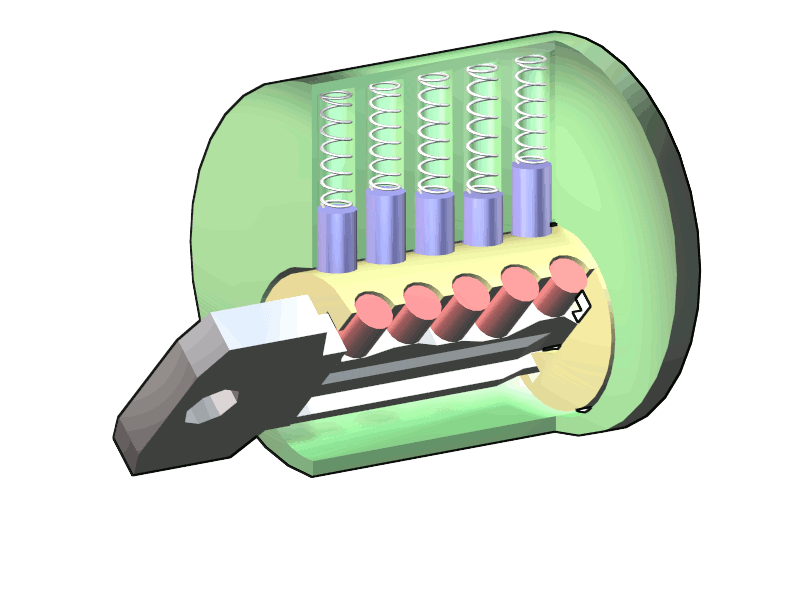 Essentially when you place the correct key in a lock, both the bottom and top pins are moved by the key, and when the shear line is met accordingly by the pins, the key will turn, and the lock will open. So if we don’t have the key what can we do. Well there are a few options. We can rake the lock, we can pick the look, one pin at a time, we can use a pick gun, or we could possibly bump the lock. So when it comes to picking we need at least two basic things, a hook pick, and a tension wrench. We insert the tension wrench into the key way, below the pins, and apply a small amount of pressure. The amount of pressure required is an art in itself, and will be something you get a feel for over time. We then insert the hook pick and feel for the number of pins in the lock (the more pins the harder to pick). One by one, with a small amount of pressure on the tension wrench we push the pins up past the sheer line, and feel for the pins to find their position. You don’t need to do this in a particular order, as the order isn’t necessarily inline. Personally I tend to start at the back, and move around from there. Obviously we cant see into the lock, so it all has to be done by feel, and this cant take some time to get used to. I recommend people buy a practice lock with a clear casing so they can see what’s happening as they learn. Before picking a lock I will most often rake it first, and in alot of cases the lock can be opened simply from raking alone. So to rake a lock we use a rake instead of the hook pick. As before we position the tension wrench, and then insert the rake all the way into the keyway. Then pull and push the rake in and out of the lock in a diagonal stabbing type fashion. What we are doing here is forcing the pins about the sheer line in quick succession as we go in and out of the lock. If this doesn’t open the lock, it will have most likely picked some of the pins for us already, making the job a little easier. The pick gun is similar in a way to raking, except it jerks all the pins up at the same time. Using a pick gun can be an effective and fast way of gaining entry, but again requires some practice to master. Many lock picking hobbyist are not fans of a pick gun, as it takes the skill and enjoyment out of picking. I agree, but if the objective is the gain entry and time is short and pick gun has its place. Bumping uses a specially cut key(s) based on the type of lock. The key is inserted partially into the lock, and them hit with a bumping hammer, whilst slightly turning the key. The bumping process forces the pins to jump away from each other on the shear line, allowing the lock to open. I do have generic key bumping gear, but have not had a great deal of opportunity to use it myself. Bumping can also be good for rapid entry. An alternative to picking a padlock, is shimming. You can place shims down either side of the shackle, and as you turn the shim around and the latch will be released. Not all padlocks work this way, but a good majority you come across will, so its handy to have some shims with you. I thought I would close of saying that any manipulation of a lock other than by its original key will leave some evidence behind. Lock picking will leave tiny scratches on the pins, bumping can also leaving denting on the cylinder. Just something to be aware of, that if inspected a lock will give some hints to the fact picking was attempted, but this isn’t something that would normally be considered by a layman in my opinion.